Framing closes with the top magnets. 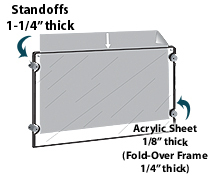 Four edge gripping standoffs mount the panel to the wall. Set of instructions, hardware and fittings provided. 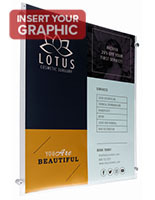 These 40" x 13.5" standoff poster frames, commonly referred to as panoramic display holders, attract customer and visitor attention. 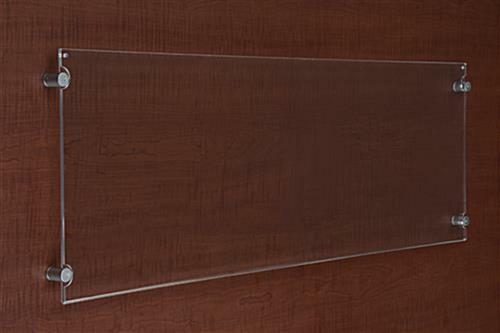 The clear acrylic frameless sign mounts are designed for wide-format panoramas, company names and logos. 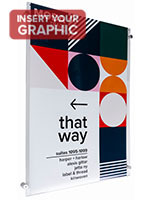 These horizontal orientation 40 x 13.5 standoff poster frames have a fold over design to make signage changes easy. 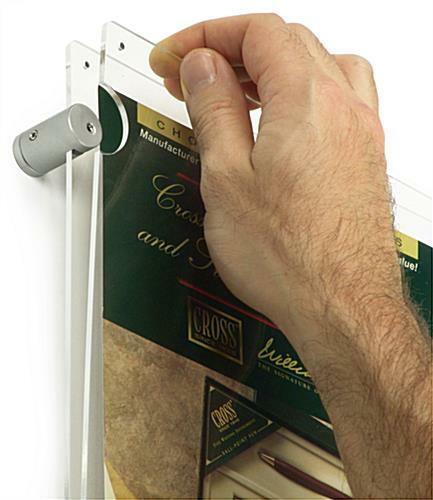 The display holders have a simple top loading construction with magnet closures, so users can load a new picture without removing the enclosure from the wall when mounted. 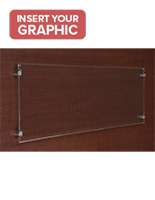 These clear panormamic poster frames are sold with all of the hardware needed for wall installation. 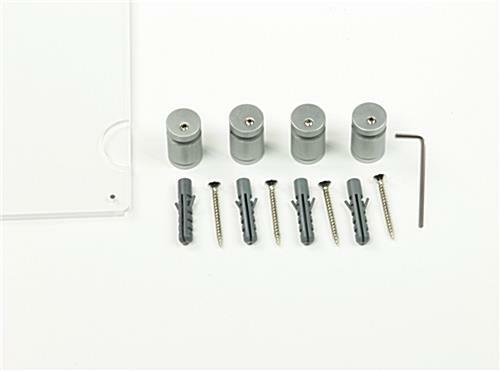 The sign mounts anchor to the desired surface using four silver finish edge grip mounts. These frameless poster frames make installed graphics look as if they are floating one inch from the wall. The display holders offers many different possibilities for businesses, art galleries, schools, restaurants, and more. 41.9" x 13.6" x 1.3"